Waterfalls make for a great view. For those who love to get into a flowing stream or stand under that rigorous force of water pouring down from a height, it is almost impossible to resist a visit to a nearby waterfall. 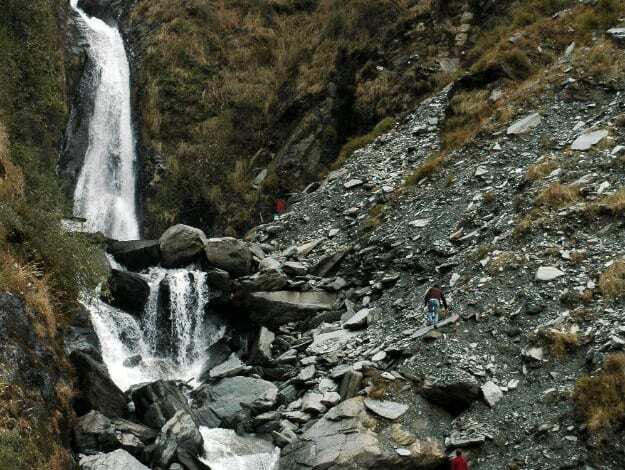 Most hill stations or treks that you will be a part of will have waterfalls nearby. However, there are some that are so magnificent that they stand out from the rest. Here are some great waterfalls in India where you would like to get your feet wet or just treat your eyes with a visual spectacle. Most of these waterfalls are best visited during monsoon; however there are some that are active all through the year. You can visit any of these waterfalls whenever you pan a trip to any of the destinations mentioned below. There is nothing more beautiful than watching such wonders of nature falling from such a great height. Located on the south of Madikeri, Karnataka at 90 km is the beautiful Abbey Falls that is visited by travelers from all over. If you want to witness and experience cascading waterfall from a great height, this is where you should be. The Abbey falls from a height of 70 feet and the water is collected in a pond at the base. The best part about this waterfall is the lush greenery all around. Situated at 268 km from Bangalore, many people head to watch the Abbey Falls on a weekend for a refreshing change. And during monsoon the flow is much stronger and higher. The waterfall is located between coffee plantations and also spice estates and hence the scenic views. You will also find a hanging bridge that has been build right opposite to the waterfalls. It is said that the Abbey falls was earlier known as Jessi falls. The name Jessi was derived from a British officer’s wife. However, in those days the place was nothing but dense and thick jungle area. And with time, it just got hidden in these forests. Years later, the Abbey falls was discovered by Mr. Neravanda Nanaiah who ensured that the waterfall is brought to the notice of the Government. The erratic forests were cleared and were transformed into coffee and spice plantations. And that is what you see in surroundings today. With such good developments, the waterfalls saw a rise in the number of tourists visiting them. Though the increasing number of tourists has affected this attraction, the beauty and charm still remains. You must visit the waterfalls during monsoon so that you get to see them in their best and when the water is flowing in all its might. You can reach Abbey waterfalls from Madikeri very easily. There are well maintained roads that will take you till the coffee plantations and from there is a small trek that you need to take to reach the waterfalls. The trekking trail will take you through the plantations and hence it is going to a lifetime of an experience. You can hear the sound of the falls on your trek which makes the walk even more exciting. Aruvikkuzhi waterfall is situated in Kumarakom near Kottayam in Kerala and because this waterfall is located in God’s own country, you can be rest assured about its beauty and grandeur. The waterfalls in five steps and is considered as a picnic spot by many travelers. This waterfall is 30 feet high and is active only during rains. If you are planning to visit Aruvikkuzhi Waterfall during any other season of the year, you may be disappointed since the river dries up. So whenever in Kerala make sure that you visit these waterfalls during monsoon. Since this alluring waterfall is located in the middle of rubber plantations, the waterfalls flow through these plantations and hence the view is breathtaking. The path that will take you to Aruvikkuzhi Waterfall is a mud path and a 2 km trail. This also gives you an opportunity to do some trekking for that also is another attraction of this place. 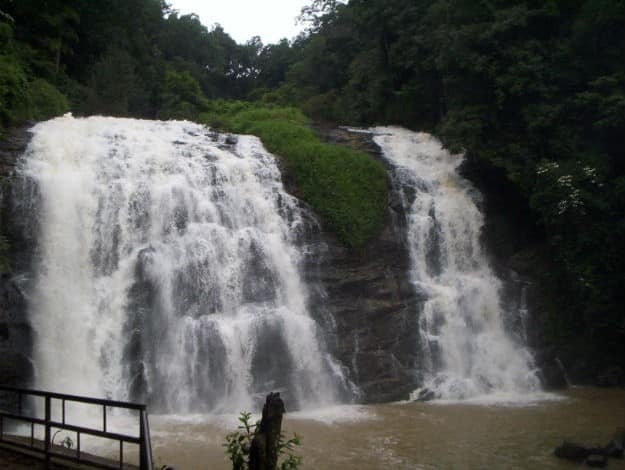 Aruvikkuzhi Waterfall is located in Kumarkom that is one of the most preferred touristy places in Kerala. So when you plan a trip to Kerala, you have an added advantage of experiencing backwaters while you also taken utmost joy in witnessing the cascading waterfall of Aruvikkuzhi. Spend half a day at the waterfall and then head to explore the town and backwaters. And meanwhile, for bird watchers, Kumarkom is paradise. Owing to the backwaters, wetlands and also the canopies, you will find many birds. You can also visit the Bird Sanctuary for a better and fulfilling experience. The best time to visit the waterfall is monsoon or immediately after the monsoon ends. Situated in Athirappilly panchayat in Chalakudy, Kerala, the Athirappali waterfalls is one of the best waterfalls of the state. This 80 feet high waterfall is an attraction that is sure to leave you spellbound. 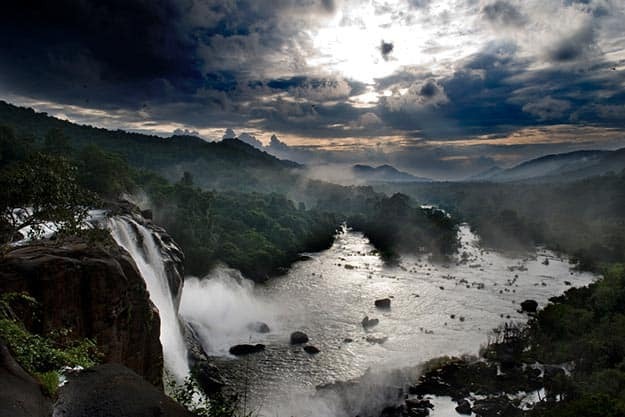 The largest waterfall in Kerala, the Athirappilly waterfall is also known as the ‘The Niagara of India.’ It is located at 90 km from Kochi and is one of the most popular picnic spots among tourists. If you have planned a trip to this part of Kerala, you know that you shouldn’t be missing out on the beautiful Athirappilly waterfalls. This is another waterfall of India that is nestled amidst dense forests. And with the Vazhachal waterfall, Charpa falls, this fall is pure delight to the eyes. The views of these three waterfalls make for such a refreshing sight. So when you plan to visit the Athirappilly waterfall, you will be treated with two other waterfalls. 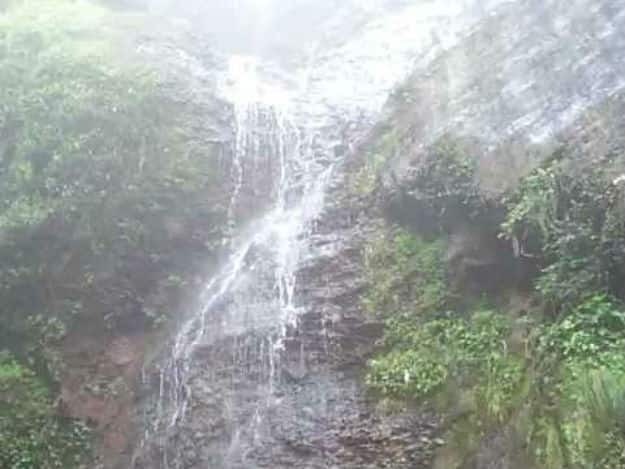 Like any other waterfall, this is best visited during monsoon. The scenic beauty will leave you stunned. While you gaze at the cascading waterfalls, do no miss out on watching the forest around the waterfall that makes for a picturesque view. The forest is rich n flora and fauna and that is like an added advantage for people who love nature. It has many species that are endangered and probably the only place along the Western Ghats where you will find endangered Hornbill. The best part about Athirappilly waterfall is that they are active all through the year unlike other waterfalls that are mostly active only during monsoon. But if you visit this falls during monsoon, you will get to witness it in all its glory. This waterfall has also been used as background locations in many movies. And we are sure that proves it that this is possibly one of the best in the country. Many Bollywood movies like Guru, Raavan and also Dil Se had most of their scenes shot here. For a little bit of adventure, you can also take a dip in the pond. And with a police camp right next to it, you are absolutely safe. If you are a photographer or just a lover of anything that is naturally beautiful, the Bhagsunag waterfall located in McLeod Ganj, Dharamsala will definitely not cease to impress you. The Bhagsunag waterfall is also known as the Bhagsu fall and falls from a height of 7112 feet. And this is one beautiful location of India if you love waterfalls and their glory. Any traveler who visits the Bhagusunag waterfall will return with lasting memories. The cascading waterfalls, greenery, hilly terrains and rocks all make this place worth visiting. On your trip to McLeod Ganj not only will you get to witness this amazing nature’s wonder but also get to experience the village of this region. Bhagsu also has a beautiful Shiva temple that is another attraction. Devotees from all over visit this temple. If the stories are anything to go by, it is said that the name of this waterfall as derived from King Bhagsu who was a vanquished ruler. Some 5000 years ago, it is said that Nagdevta, the snake God had waged a war against King Bhagsu for daring to steal water from the Nagdal lake. Nagdevta and his army defeated the King, however also forgave him for his sins. And at this very site the holy Bhagsunag temple was built in dedication to both the King and also snake god. This is why the waterfall is called as Bhagsunag. With such a historical significance and scenic views, you cannot miss visiting this waterfall. Catherine falls is an alluring double cascaded fall that is located in Kotagiri in Tamil Nadu. Also one of the biggest tourist spots of this region, the Catherine waterfalls has been on many travelers’ to-visit list. 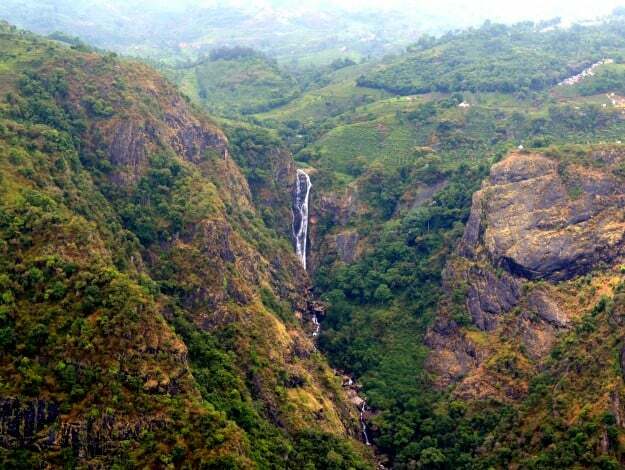 The Catherin waterfalls are also the second highest waterfall in the stunning Nilgiri Mountains. The water falls from 250 height and the views are breathtaking. And the stunning landscapes just add to the grandeur of this waterfall. This waterfall is pretty visible fro, Dolphin’s nose which is another attraction of the region. From this point you will get to see the whole waterfall in one glance and trust us when we say you will love this view. To reach this waterfall you have to trek and the trail that leads to this waterfall is another experience that you should have. The Catherine waterfall is also known as Geddehaada Halla which means the Foothills Dale River. Take out your camera and get clicking on your way to one of the most picturesque waterfalls. Chadwick falls located in Shimla is also one of India’s best waterfalls. Tourists, who visit Shimla, make sure to visit the Chadwick falls too. Located in Himachal Pradesh, it is a known fact that this state is one of India’s best tourist destinations. And thus there should be no doubts that this is where you should be on your next trip to Shimla. 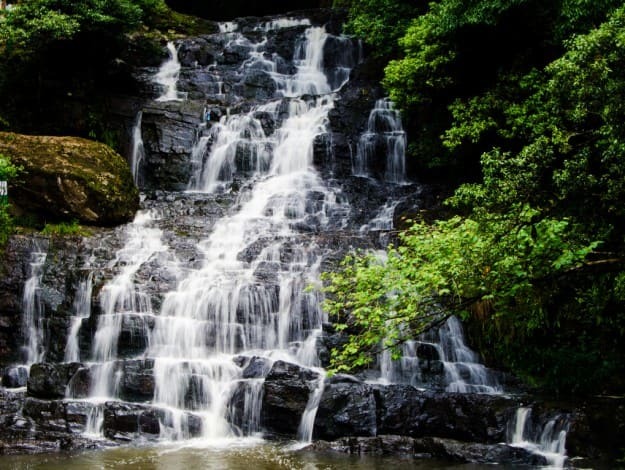 Beautifully nestled in the middle of dense forests and woods, the alluring Chadwick falls from a height of 1586 m.
The best part about Chadwick waterfall is the surrounding area that consists of thick forests with many pine and deodar trees. The scenic location adds more beauty and serenity to the already striking waterfalls. Flowing in all its might and force, the waters are chilly and milky white. To watch the water fall from such a great height and collect into a small pond is view that nobody will ever get tired of views like these. And for nature lovers, this view is sheer joy and peace. City dwellers know the importance of nature and its wonders more since that is the only source of rejuvenation. Chadwick waterfall is more active during monsoons and for some time after that. Sparkling waterfall amidst lush greenery, what more can you ask for! Once you are done exploring Chadwick, you can also visit some really beautiful and ancient waterfalls around the waterfalls. This region also has a fair every year in April which is visited by many travelers. Another very interesting fact about this waterfall is that it has been one of the biggest sources of water for the surrounding forest area in Shimla for many years now. From October to July, you can visit this waterfall at any time since that is when the waterfall can be witnessed in its best. Now you have more reasons to visit Shimla and one of them is of course this beautiful waterfall. The Dassam falls is situated in the Ranchi district of Jharkhand and is one of India’s most beautiful waterfalls. The name of this waterfall Dassam means act of pouring water which was derived from the word Da:song which is Mundari language. When you look at this waterfall, you will realize why this name was given. It does look like somebody is pouring water from the top. The sound of the water flowing in full vigor is echoed all around the place. What better than spending an evening listening to the beautiful sounds of nature with no city chaos! The water of this particular waterfall is very clean and clear. And this is one of the many reasons why so many people prefer visiting the Dassam falls. You can take a dip in the water at the base but if you visit the waterfall during heavy rains, ensure that you avoid swimming or bathing since it can get a tad dangerous. During rains the waters can generate current pulling people deep inside causing drown incidents. The waterfall here is created thanks to the Kanchi River that falls from a height of 144 feet. A one day picnic is all it needs with friends or family to make the most of Dassam falls and feel rejuvenated. The Dhuandhar waterfalls are also known as the Smoke cascade. Located at Bhedaghat, the treason why it is called the Smoke cascade is because, the waterfalls from a great height that creates mist all around and makes it look like smoke. In fact the word Dhua also means smoke. The milky white water cascades from a great height amidst scenic surroundings and forms a gorge called Marble rocks. The waterfall is 98 feet high and is one of the most popular tourist attractions as it is flanked by greenery all around. The water that falls from Dhuandhar waterfall is from Narmada River and trust us when we say; the sight is a visual spectacle. The mist formed around looks magical and a sight to behold. According to beliefs it is said that a dip in Narmada River is holy and it washes away all your sins. You can spend some leisure time at the base of the waterfalls, clicking some great pictures and basking in the glory of nature. Just sitting peacefully and enjoying the waterfall is also enough to have a good time. Else, you could also go shopping in the local market around that sells some really great marble artifacts. Like we mentioned earlier, the marble rocks are another great attraction that you should not miss out on when you are visiting the Dhuandhar waterfalls. These marble artifacts make for great souvenirs and can be kept as showpieces or can be gifted. You can also try boating which is another enriching experience. Visit Dhuandhar waterfalls anytime between November and May to enjoy boating. There are also adventure activities that have been provided like crossing the river with the help of a ropeway. It is quite a thrilling experience. Thanks to Dhuandhar waterfalls, the tourism aspect of Madhya Pradesh has just grown. The nearest town is Jabalpur and there are several other attractions that you can look for when you are visiting this town. However during monsoon, if you happen to visit the waterfall, you can definitely watch the waterfall in all its glory, but you wouldn’t be allowed to do boating. Shopping, boating, adventure activities and the sight of misty waterfalls, the Dhuandhar waterfall has everything that a traveler will look for. Also there are many budget hotels nearby so that you can stay comfortably with every basic amenity provided. On your trip to this serene place make sure you carry some food and water wit you since eating options are very limited here. There are restaurants and small food joints, however they are all situate din the main town. Visit the waterfall from September to March anytime. One of the most scenic and the most popular waterfalls in India, the Dudhsagar waterfall in Goa is a sight to behold. The literal meaning of Dudhsagar is Sea of milk and that is exactly what you get to see here. And because the Dudhsagar waterfall is situated in the idle of Bhagwan Mahavir wildlife sanctuary, the beauty and serenity is even more. Situated in Sangeum district in Goa, the water of Dudhsagar falls from a height of 1000 feet. While Goa has been everybody’s favorite holiday spot, the waterfall just adds to your list of reasons. 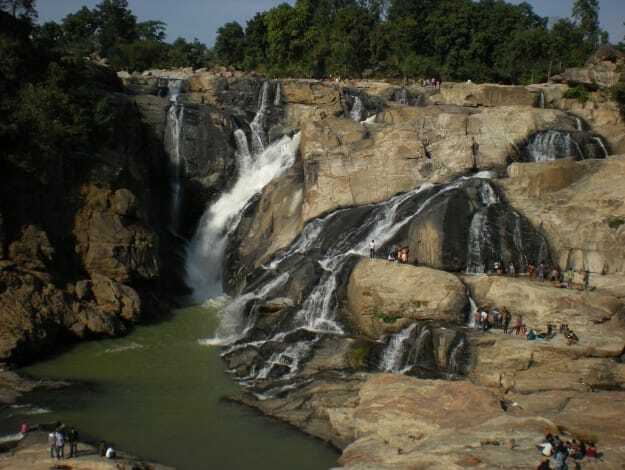 It is also popularly known as Vajra Sakal falls and also as Tambdi Surla falls. It is mostly the locals that call this waterfall by these names. Most people think that visiting a waterfall means just gazing at the beauty. But there is a lot more that you can do here. The Dudhsagar waterfall gives ample trekking opportunities as well. The trek starts from Tambdi Mahadev temple which is another attraction of this region and is visited by many people. 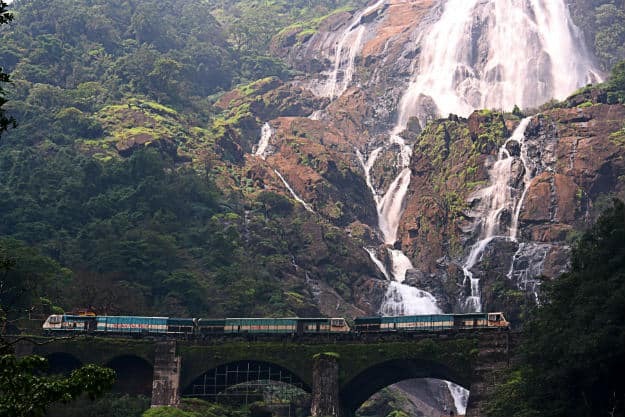 A four tiered waterfall, the Dudhsagar waterfall is milky white and you should be here if you are looking for much needed respite from city life and chaos. This waterfall also has a rich history attached to it. It is said that the waterfall once served as an abode to a princess who drank sweet milk every day after she took bath. However one fine day while bathing she saw a prince watching her and to hide herself, she poured milk to form a curtain. And this is how the Dudhsagar waterfall came into existence. You can visit the waterfalls during monsoon however the roads are usually closed during this time. You can trek to the waterfall through misty mountains and rugged terrains which make for a thrilling experience. You can also avail of jeep safari which is pretty popular and preferred among tourists. You have four trek routes to choose from. Of all these routes, the most adventurous and thrilling one is the one that starts from Kuveshi village and passes through Mandovi River. The trek is 10 km long and passes through thick and dense forests. Whenever you visit the waterfalls make sure that you carry food and water since there are not many restaurants or food joints nearby. And whenever you trek, be a responsible trekker and keep nature as beautiful as it is. And if you are travelling during monsoon, take the trek from Castle rock railway station. This is very popular among tourists and the views are breathtaking. You can also call for a cab from the Dudhsagar taxi stand and hike till the waterfall which is one km long. This route can be taken if you are travelling in big groups with women and children. Located near Shillong in Meghalaya is another great attraction called the Elephant falls. This waterfall is formed by combining three beautiful and alluring rivers. The name Elephant falls was initially a British name. The local Khasi referred to it as Ka Kshaid Lai Pateng Khohsiew which also means the three step waterfalls. But the British renamed this to Elephant falls because they spotted a rock that looked like an elephant. The rock however doesn’t exist anymore because the rock got destroyed in an earthquake. It is not really a task to reach the Elephant waterfalls with so many public transport options available. One of the most stunning and beautiful natural wonders of the North East, if you love anything scenic you should be here. Located very close to the Shillong peak, the Elephant falls should definitely be on your must visit list. Saputara is a favorite weekend getaway spot for many. And if you haven’t visited Saputara yet, you might want to now owing to the beautiful Gira waterfall here. This scenic waterfall is thanks to the alluring Ambika River and is visited a lot by people who love nature and its wonders. 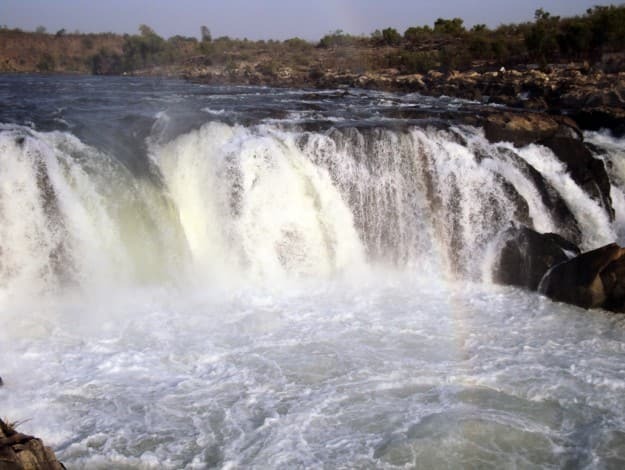 Gira falls is a 75 feet tall attraction that flows from the Kapri tributary and falls down towards the beautiful Ambika River. Even if you are planning to travel to Surat, take a halt at Saputara and witness the grandeur and magnificence of this waterfall. And like we all know, the best time to visit the Gira waterfall is obviously during monsoon when it is in its full force. The exact location of the waterfalls is near Girmal village, on Gira River. The water falls from such great height that it forms a foggy look. The views are breathtaking and will leave you enchanted. You can reach the waterfall by road from Navapur and Singala or even Ahwa and Singala. You can also book vehicles that will drop you till a point and from there one there is a one km trek or hike. The trek is an attractive one with hills and lush greenery all around. 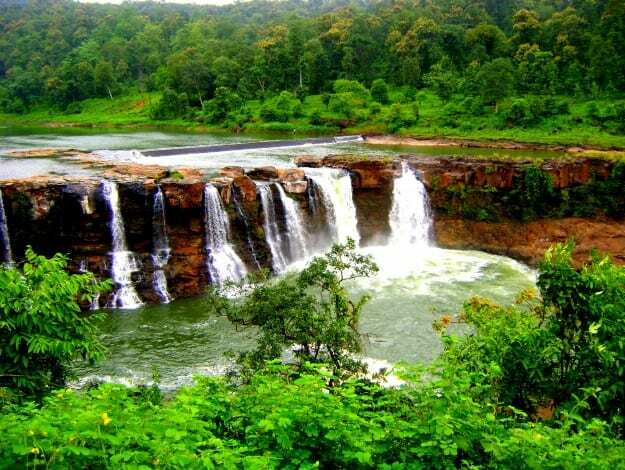 Once you have made the most of the stunning Gira falls, you can also head to other attractions nearby like the Saputara lake which is nestled amidst valleys and untouched environs. You will also find many accommodation options nearby if you are planning to stay for a night. Just ensure you carry proper footwear and clothing when visiting the waterfall. Also do not ignore any warning signs that you may come across.